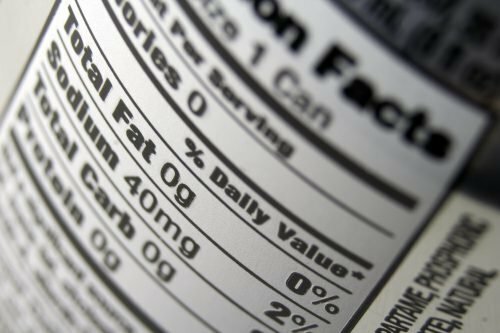 A new study in the Journal of the Academy of Nutrition and Dietetics found that simply making a low-content food claim on the label was not a reliable indicator of a product’s actual nutritional quality. It added that these claims may give consumers a false sense of confidence about the healthfulness of their food. Investigators wanted to examine what effects these low-content claims had on purchasing habits, as well as what relationship they had to the actual nutritional content of foods. After looking at data that included over 80 million food and beverage purchases from over 40,000 households, they found that 13% of food and 35% of beverage purchases had a low-content claim, and that low-fat was the most common claim, followed by ‘low-calorie’, ‘low-sugar’, and ‘low-sodium’. While the data revealed that products with some sort of claim had lower mean energy, total sugar, total fat, and sodium densities, they did not always represent the best nutritional value. The study suggests that because labels only need to make claims relative to other similar foods and not a standard definition of what ‘low’ means, these claims do not offer consumers any real information or give a good indication of the general healthiness of the food. “Our results demonstrate that for overall packaged foods and beverages, purchases featuring a low-/no-nutrients claim do not necessarily offer better overall nutritional profiles or even better profiles for the particular nutrients that are the subject of the claim, relative to other choices with no claim,” explained lead investigator Lindsey Smith Taillie, researcher assistant professor, Gillings School of Global Public Health, University of North Carolina at Chapel Hill. For example, as there is no agreement about what constitutes a low-sugar cookie, researchers say consumers need to be cautious. A cookie that is marked ‘low-sugar’ may contain less sugar than the ‘regular’ version, but that low-sugar claim does not guarantee it contains less sugar than other cookies. While the study focused on whether these claims had any connection to the actual nutritional value of the food and beverage items, investigators also looked at the groups who were more likely to purchase foods that made these statements. They found that while differences in purchasing patterns by race/ethnicity were not significant, non-Hispanic white households were the most likely to buy products with a ‘low-calorie’ claim. Asian households preferred foods with ‘low-fat’ or ‘low-sodium’ claims. Non-Hispanic black households were the least likely to purchase food groups with any low-content claim. There was also a connection between socioeconomic status (SES) and food purchases. Researchers found that high- and middle-SES households were more likely to purchase food and beverages with low-content claims. As consumers try to navigate an ever-increasing number of food and beverage choices, being able to parse what these claims mean will become even more critical. These findings show how the lack of consistency about what these statements mean can lead content claims to be used to sell generally unhealthy foods as a healthier alternative. This work was conducted at the Duke-UNC USDA Center for Behavioral Economics and Healthy Food Choice Research and funded by Healthy Eating Research, a national program of the Robert Wood Johnson Foundation.